Can the holidays really already be here? Where is the time going? 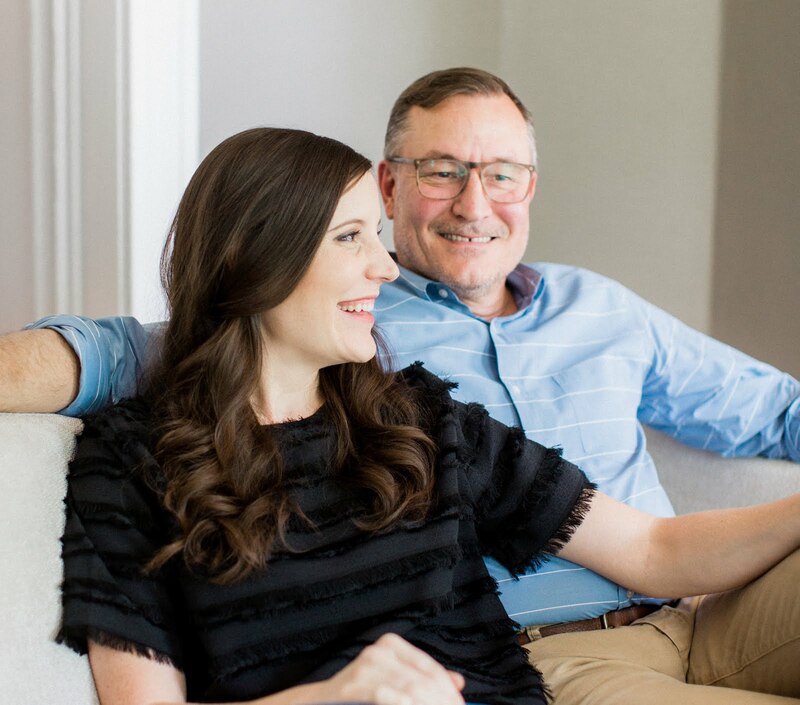 This time of year is always extremely busy with work, jewelry orders and planning out gatherings with family — and this year we've got wedding planning thrown into the mix too! Because we're quickly approaching that 6 month point before the wedding, I'm all of a sudden feeling the pressure to get everything scheduled, tied down and planned out. The great news is we've nailed down a ceremony location, reception location, we have an officiant, I have the dress and over the weekend we think we finally booked a photographer we are both very excited about. We'll be sure to share all those details as they continue to get fleshed out, but today I wanted to talk about some of the more fun wedding details I've been playing around with. I'm excited at the idea of being able to DIY many of the wedding elements ourselves, starting with our save the dates. I've got an idea for stamping them with a woodblock, which hopefully if I'm successful, I'll be sharing here with all the steps in the near future. To get that ball rolling, I've just been playing around with different text styles and designs for the actual part I want to stamp. Have you all heard of dafont? It's this great site with literally thousands of different and custom fonts uploaded by more tech-savvy people who actually know what they're doing (unlike myself) that you can download and use on your computer for FREE! Yes. We use a mac, so downloading and using these fonts pretty much consists of downloading them from dafont, then dragging them from our Downloads folder over into our Library/Fonts folder. Once they are in there, you can open up the application you want to use your font in and you are set — it's awesome. It was really hard to just decide on the one style since there are so many cool options, but the Antrokas style grabbed me. Feel free to scroll through their other calligraphy style fonts — you just might lose an hour or two of your day looking at them all! On a related note, let's talk wedding websites — you know, the kind the wedding couple sets up with info about their wedding. In general, I found a lot of the free wedding site templates out there to be pretty cheesy, a little limiting or if there was a design we liked, it seemed a little bit pricier than we were willing to spend for a site we'd probably only need for a few months — have you found this to be the case or did it matter to you? Maybe you are in the camp that agrees the whole idea of a wedding website is entirely too cheesy in itself, ha! In any case, while we toss around the idea of having a website for wedding details, we're considering just hacking one together on our own with the Blogger platform. It's what we use to power this blog and E.A.T. so we are already familiar with the ins n' outs and also feel like it could be an interesting way to just create something super simple that's still us. As usual, well keep you posted as this pans out too. To get this look I just wrote out the text in the same Antrokas style font and then experimented around with all the different distortion options in my word processor until getting the look above — it was that easy. So yeah, nothing's set in stone for the design yet, but this is what I've been playing around with so far and I thought it could be fun to share my thought process as things take shape. What about you? Did you have a wedding website or will you when you plan your wedding? Did you diy your save the dates or have a great tip for things to include on our wedding website if we end up making one? Six months to go! I really like that font. I have only recently found out about wedding websites as my cousin is getting married next month and has one. With 10 years (nearly) of marriage behind me this is new to me. Wow that is wonderful Monica what a great mom to have! Yay! We are wedding month twins (I promise I didn't come up with this lingo - it's from the wedding forums). 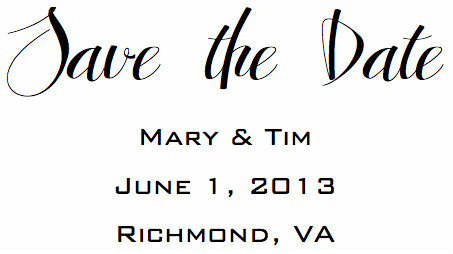 I love the save the date font! Brittany a beautiful site as we checked everything out over the weekend! Can't wait to see more details unfold on EBF! We also hope you are feeling better! Willow yes we are trying to DIY as much as possible to help with the purse strings! On a side note but related to your posts. Rusty and I were out deer hunting and I saw a large cut tree stump on the side of the road. You should have seen Rusty's face when I made him get out of the truck to help me load it :) It was priceless. Ha! Angie that is too funny! Word of advice let it dry as much as possible before you get "Rusty" on that project!